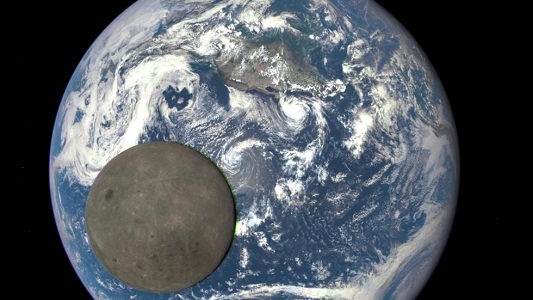 Beijing: A new photo captured by Longjiang-2 reveals the so-called “dark side of the moon” basking in sunlight as Earth photobombs the moon in the background. The term “dark side” is really a misnomer for the moon’s far side — just because we can’t see the far side from Earth, doesn’t mean that the sun never shines there. Longjiang-2 captured this photo during the new moon, when the Earth-facing side of the moon was completely dark and the far side was entirely illuminated instead. Given the camera’s the low resolution, Longjiang-2 has provided some impressively detailed images of the lunar surface. “The far side of the moon has many more visible craters than the side of the moon that we can see from Earth,” Dijkema wrote in a blog post about the latest image.